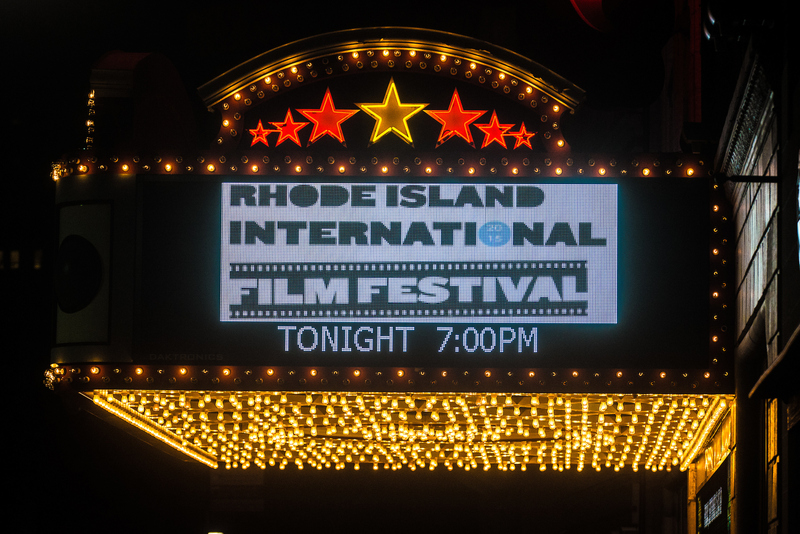 The Rhode Island International Film Festival takes place every August in the United States. The festival is one of the leading short film festivals in the United States. Once again this year, it will showcase the best films created by filmmakers from all over the world. The festival is run by Flickers, a Newport community that produces film and audio projects for television, festivals, educational programs, and other cultural events. The festival aims to recognize creativity and innovation in filmmaking, and to help films get worldwide distribution. It strives to bring film directors, producers, artists, and audiences together to nurture a stronger film industry. The historic city of Providence is the main venue for the Rhode Island International Film Festival. Other screening and event locations include Bristol, Jamestown, Narragansett, Barrington, Woonsocket, East Providence, Cranston, Tiverton, and Westerly. The festival screens films of any type, subject matter, and genre. It accepts short films, documentaries, animations, dramatic and experimental films. As of last year, the festival was screened 310 films from 34 states in the US and 66 countries. The Rhode Island International Film Festival is recognized by the Academy of Motion Picture Arts and Sciences (AMPAS) and the British Academy of Films and Television Arts (BAFTA) as a qualifying festival for their short film and documentary short categories. The festival also has numerous side events, including the Rhode Island International Horror Film Festival that takes place in October. Other additional events include the Vortex Sci-Fi and Fantasy Film Festival, the Golden Jasmine Chinese Film Festival, the Roving Eye International Film Festival, the Providence Underground Film Festival, the Annual Flickers’ Japanese Film Festival, the KidsEye Summer Filmmaking Camp, the Youth Film Jury, the Rhode Island Film Forum, and ScriptBiz. This year, the Rhode Island International Film Festival is celebrating its 22nd year. It will showcase outdoor screenings, seminars, extended walks and tours, dinner, and many more to celebrate this milestone. The highlights of the Opening Gala, the Annual Film Forum, the Closing Gala, and the lineup of films for the competition are yet to be announced. However, the festival will offer the annual KidsEye Summer Filmmaking Camp and a hands-on screenplay seminar called ScriptBiz. A DEAF schoolgirl from Upper Stratton was overjoyed when she won the Best Actress award at an international film festival. 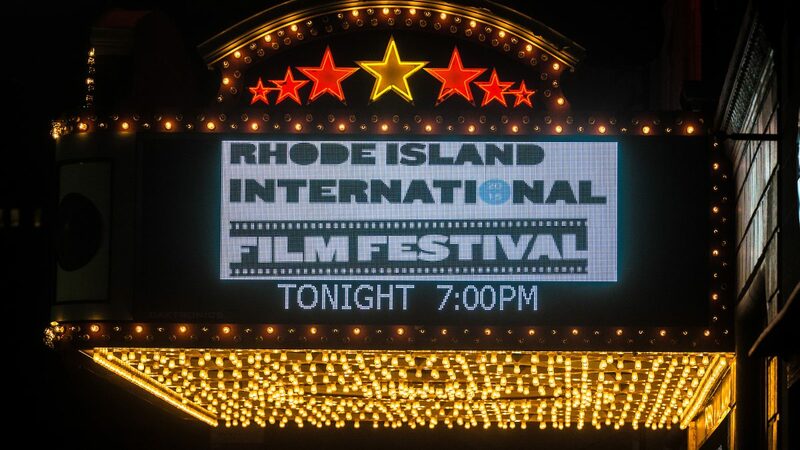 The Rhode Island International Film Festival began in 1997. It was the brainchild of George T. Marshall, the founder of the Flickers Arts Collaborative and the Executive/Director since the inaugural Festival. Flickers is better known as the Newport Film Society that was established in 1981. Under the production of Flickers, the festival promotes film appreciation and restoration and encourages the exchange of ideas and opportunities in the film and entertainment industry. In 1998, the festival hosted the first world premiere of “There’s Something About Mary”, the romantic comedy film directed by Bobby and Peter Farrelly. In the same year, the first KidsEye Summer Filmmaking Camp took place. The festival continues to attract crowds from every country in the world and has about 45,000 attendees each year. 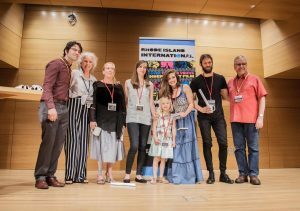 The following is a list of the annual awards that the Rhode Island International Film Festival presents to the official winners of the juried film competitions. Providence Positive Lifestyle Award- This is presented to the film which inspires the audience to have an optimistic approach and development of solutions to life’s issues and problems. The Rhode Island International Film Festival also recognizes key personalities who have been exemplary in the field of film and art. The following are special awards given by the Festival. The Gilbert Stuart Artistic Vision Lifetime Achievement Award- The recent winners of this award were Special Effects Artist Douglas Trumbull (2017), Actor/Artist Theo Bikel (2014), and Actors Ken Howard and Paul Sorvino (2011). Creative Vision Award- This is awarded to outstanding artists who have made important and innovative contributions to the art of filmmaking. The recent recipients were Actress Karen Allen (2016), Publisher Carol Patton (2014) and Actor Ioan Gruffudd (2013). Roger Williams Independent Voice Award- This is given to an exceptional artist with a vision that upholds compassion, tolerance, and understanding. The recent recipients of this award were Musician/Artist Eric R. Bronner (2014), Author G. Wayne Miller (2013), and Actor Barbara Meek (2012). George M. Cohan Ambassador Award- This is presented to an outstanding artist who has become an inspiration to Rhode Islanders by their significant contribution to the arts. Among the latest recipients were Lynne McCormack (2015), Rhode Island College President Nancy Carriuolo (2012) and Executive Director of RI Film and Television Office Steven Feinberg (2011). The Rhode Island International Film Festival has partnered with Withoutabox.com for film submissions. If you are a filmmaker who wishes to enter your film for the 2018 festival, you just missed the final deadline which was on July 15, 2018. Since the RIIFF accepts all types of film genre, there are no restrictions to categories of the films that you can submit. The Rhode Island International Film Festival will take place from August 7-12, 2018.